In Brazil we have the model LOPC660. It is mounted on a T-frame with an interoperable Micro-CTD (AML Microsystems). The sampling tunnel area is 70 x 70 mm, and the beam area (frontal cross-section) is 49 cm2. *.dat and *.bin (I explain very briefly what informations are provided in the .dat file in my thesis. If someone is curious to get the basics I can send it by email, couldn’t find the way to attach it here). Particles. There are available techniques to separate out what is believed to describe marine snow and what is believe to describe zooplankton (see Jackson and Checkley 2011; Petrik et al., 2013). Towed. We usually perform vertical tows. — need for calibration –> It’s calibration is made under dry conditions in the laboratory with three sizes of beads provided by the manufacturer. The ZooScan provides digital images from preserved plankton samples. Typically, you can scan a fraction of a preserved plankton net sample. *.pid –> a data file resulting from image analysis by ZooProcess, each row represents a particle/organism and the variables associated to it. *.jpg –> vignettes in *.jpg are images of single detected particle/organisms. *.txt –> after validation it provides a text file with the classification of each particle/organism and its associated variables (e.g., area, length, ESD). Particles that were not disrupted by nets and zooplankton (variable taxonomic resolution). Cannot be deployed, it is a benchtop device. “ZooScans can be calibrated so that different ZooScan units produce normalized images of identical optical characteristics” (Gorsky et al., 2010). Information about individual particles is limited. The instrument only returns bulk particle backscattering (a proxy for particle concentration). Multiple measurements are required to obtain some particle size information from high frequency fluctuations of concentrations within the sample volume. At high particle concentrations, we can obtain bulk particle concentration along with a single estimate of mean particle size for these particles (N. T. Briggs et al. 2013). 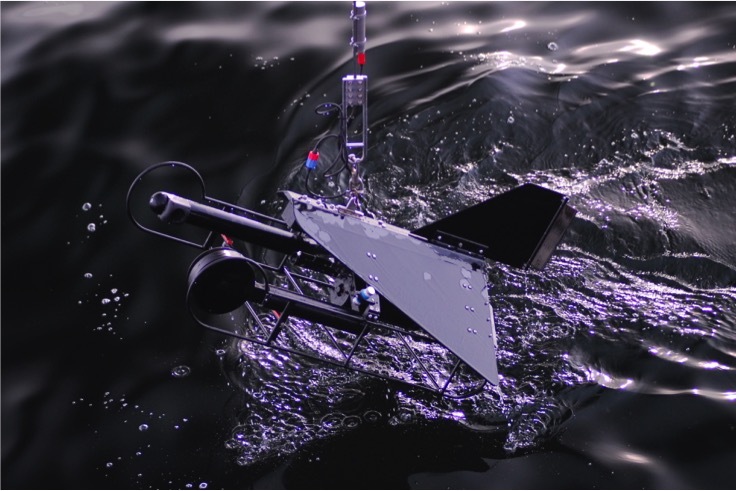 Can be deployed on nearly any platform, including low-power autonomous floats and gliders. Instruments are factory calibrated in units of backscattering. In situ dark profiles are recommended (sensor covered with black tape) as dark counts can differ from factory calibration. The units of backscattering can be converted to units of carbon or cross sectional area using empirical relationships, although uncertainty can exceed a factor of 2 without local calibration. Briggs, Nathan, Mary Jane Perry, Ivona Cetinić, Craig Lee, Eric D’Asaro, Amanda M. Gray, and Eric Rehm. 2011. 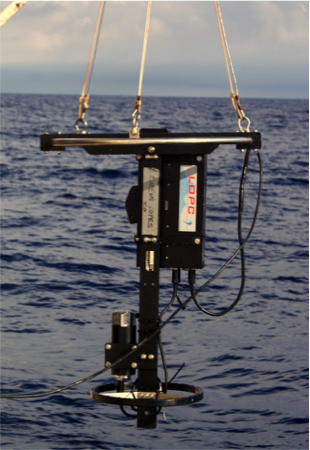 “High-Resolution Observations of Aggregate Flux during a Sub-Polar North Atlantic Spring Bloom.” Deep Sea Research Part I: Oceanographic Research Papers 58 (10): 1031–39. doi:10.1016/j.dsr.2011.07.007. Briggs, Nathan T, Wayne H Slade, Emmanuel Boss, and Mary Jane Perry. 2013. “Method for Estimating Mean Particle Size from High-Frequency Fluctuations in Beam Attenuation or Scattering Measurements.” Applied Optics 52 (27): 6710–25. 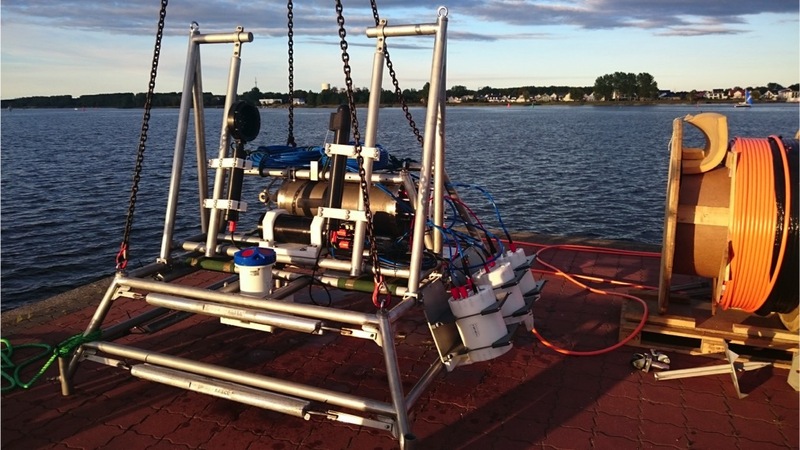 The Video Plankton Recorder is an optical sampling gear and like an underwater microscope that is towed behind a research vessel. The VPR images plankton and particles within a size range of 50 microns to several millimeters at up to 25 frames per second along the tow-track. It can be chosen between four different calibrated magnifications with a sampling volume between 1 ml and several hundred ml depending on the depth of field. At the same time this instrument measures the physical environment (e.g. temperature, salinity and chlorophyll) in which these organisms are living and interacting with. Traditionally, net sampling was used to understand the distribution of planktonic organisms. However, due to the fragile nature of many of these organisms they are often destroyed when using plankton nets to collect them. Using this optical method allows to better assess the abundance and distribution of these fragile organisms and thereby gives new insights into plankton ecology and their role in the global carbon cycle. It is totally self-contained and can also be deployed from smaller Vessels. It is powered with batteries for app. 2 hours of continuos operation and images are stored to an internal harddrive. 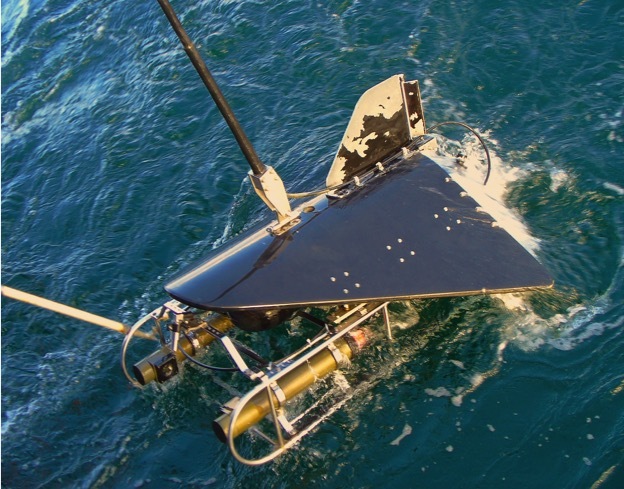 Additionally, it is equipped with a CTD for hydrographic information. Images are taken with 15 frames per second and it has a depth rating of 1000m. It has a fibre-optic towcable and sends images and sensor data with 25 frames per second in real time to the deck computers on board. Due to this it needs its own winch with a fibre optic tow cable and, hence, can only be used from larger research vessels. 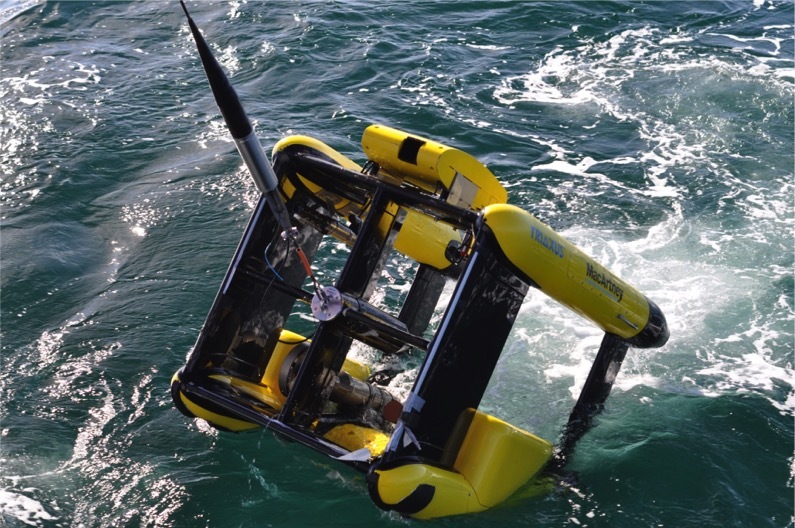 A stationary underwater VPR in combination with an ADCP which has a data and power connection to the shore.